Warning: If you have not read the first book “Miss Peregrine’s Home for Peculiar Children,” DO NOT start on “Hollow City” because this sequel dives straight from where the plot last left off so you will be lost without reading the earlier book. For this second title, author Ransom Riggs has in my opinion outdone his debut work, which is quite a feat because the latter was a solidly written piece that was well-received in the literary world. “Hollow City” on the other hand turned out to be such a page-turner I found myself devouring the whole novel in just one sitting. What I absolutely adore about both titles is the vintage photographs that Riggs personally collects. 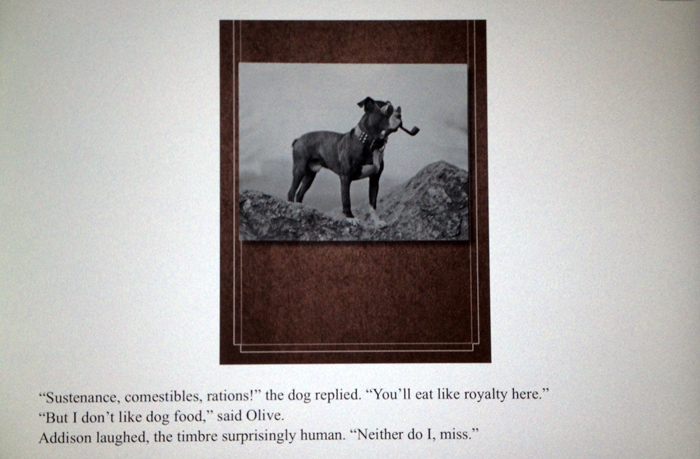 These black and white pictures, as Riggs wrote in a disclaimer at the end of his novels, are authentic found photographs, mostly unaltered with a few exceptions that have been digitally post-processed. More importantly, these photos do not only serve as visual accompaniments to the story, they are part of the story itself. Riggs picks a snapshot, which essentially freezes a moment in time, but throws away its original context to retrofit it with a brand new identity that is suitable for his fictional needs. By weaving the vintage images into the fabric of the narrative, where the author would write about or make references to them in the text, it felt experimental and added a fun dimension into my reading experience into, ironically, a dark fantasy novel. “Hollow City” borders on semi-realistic settings with supernatural elements in it, and I was bought into the story, having found it to be original and convincing because it was well planned out and explained. The plot revolved around a group of children who called themselves the ‘peculiars’ as a result of their out-of-the-ordinary abilities, such as levitation, being able to lift heavy objects and foresee the future, amongst many others skills. Having lived at the fringe of the society for centuries, their peaceful existence had been threatened by malicious external forces with an ominous aim. “Hollow City” detailed the children’s great escape plan as they sought help from other peculiars around the country. I have also heard that “Miss Peregrine” will be adopted by Hollywood sometime next year, and most fittingly directed by none other than the maestro of all films gothic and quirky Tim Burton. Now that is something that I am looking forward to. I loved your review! And I also loved his integration of the pictures in this series! Great Blog!! Really enjoyed it..
Love that book series. I remember lying in bed while reading the first one and just being thoroughly creeped out while Jacob searched the old abandoned house, and seeing the old photos. I also remember I couldn’t put either book down. Fantastic! I am wondering about this. I read the first book because of recommendations. I can see where it will make a fabulous movie. But as a book I didn’t think it was all that. It wasn’t one I couldn’t put down. What did you love about it? Actually, I kind of liked the book, but it just wasn’t a page turner for me. I didn’t have any compelling need to keep reading. If I had stopped halfway through I wouldn’t have missed the book. I can’t figure out why. Maybe I didn’t connect with the protagonist enough?